Boost your PC's performance up to 28x with an easy and affordable upgrade to SanDisk Ultra II SSD. You'll enjoy no-wait boot up and shorter application load and data transfer times than your traditional hard drive ever delivered - plus longer battery life and much cooler, quieter computing, too. No matter how you use your PC, SanDisk's nCache 2.0 technology makes for a better experience, delivering consistent high speed and endurance. I am Jose from SanDisk® Global Customer Support Team. We regret to hear about your experience. We would like to know more about your issue in order to isolate the possibilities. Please feel free to contact SanDisk® support at 1-866-SANDISK with the Case ID: 5213127 or submit a support request at www.sandisk.com/support. We will certainly assist you towards an appropriate resolution. Cons: Drive died 3 Years and 2 and a half months. Warranty is 3 years. Used it for OS boot drive only. Given the other reviews, it is as if SanDisk made them to fail right after warranty period. Drive had no indication of failures or issues. One day system shows no OS found and it is no longer seen BIOS, not discoverable, totally dead. Tried it in different external enclosures and no luck. This was my first drive from SanDisk. I learned my lesson. Avoid SanDisk and avoid drives with only 3 year warranty. I am Jose from SanDisk® Global Customer Support Team. We regret hearing about this abnormal behavior so soon, but we appreciate your bringing this concern to our attention. Best practice is to run diagnostics from the SSD Dashboard, if installed, to help determine whether this issue may benefit from a Trim. You mentioned the warranty has recently expired, but we are still happy to help. We can collect logs, run diagnostics, and review these to help determine the root cause of this abnormal behavior. You can contact us via email below. Pros: It was cheap when I bought it. 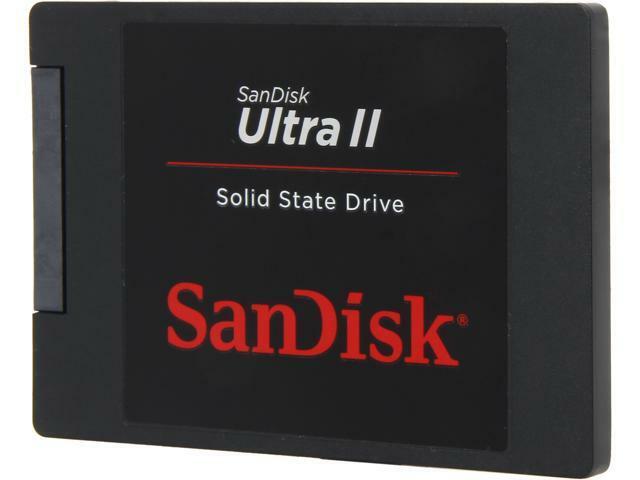 Previously had good luck (no failures or problems) with several SanDisk SSD's and other memory products. Cons: Warranty was 3 years. Complete failure at 3 years and 2 months. Turned down for warranty. I won't be buying any more SanDisk products. I bought a Samsung 1 TB EVO to replace it. 5 year warranty from Samsung. Lots of complaints about early failure for SanDisk. Live and learn. Other Thoughts: Watch out. Plan on it failing as soon as warranty is up. I am Charlie from SanDisk® Global Support Team. We regret to hear about your experience. We would like to know more about your issue in order to isolate the possibilities. Please feel free to contact SanDisk® support at 1-866-SANDISK with the Case ID: 5077157 or submit a support request at www.sandisk.com/support. We will certainly assist you towards an appropriate resolution. Was able to get a killer deal on this. File transfers are much faster. Less heat in my tower. Cons: Unlike other SSDs it didn't come with hand software to move the OS and files over, using third party tools I had no issues doing it myself. Other Thoughts: You should probably do a clean install anyway. No firmware updates released for it. I am not sure if that means they can't find many issues with it, or they just don't stand by their product. Still no issues as of November 2017. -have had it over a year now and it's been a great drive. Other Thoughts: So the first SSD I had due to popular review was the samsung 850 Evo. This drive runs above advertised speeds for me! Works great on my x370 Ryzen chipset. Battlefield 1 used to take about 46 seconds to load a multiplayer game with a hard disk... on this drive it takes about 18 seconds! That is a nice improvement. I also use a Sandisk m.2 for my windows separately. The REASON I GO SANDISK IS!! The customer service. If you did not know, Sandisk and Western Digital are the same company... they take their Warranty on drives extremely seriously and treat you with tons of respect. I highly recommend this drive to anyone.. looking to get the solid state upgrade... for pure speed enthusiasts... probably not ganna be happy! Pros: Bought one of these 2 years ago and it already failed. Stay away from sandisk. Pros: Fast when it worked. The SSD speed made my older computer almost new. Cons: After about 13 months, my computer would not boot. I had a secondary boot disk and was able to boot the system with the second drive. I left the SanDisk 960 GB in the system. Not all files would copy out over about a day. In just over 24 hours it went from dropping some files to totally dead. I tried it in multiple machines and it has the same result. It's dead Jim. Other Thoughts: If these drives are going to fail this quick, I'll put up with slower rotating drives so I don't lose time recovering data. They do have a 3 year warranty which I will use but this experience does not give me confidence in these electronics for this density of drive.